As a note, here is how I hard boil my eggs: to boil the perfect egg, place the eggs in a large pot and fill it with cold water. Bring it to a boil and let bubble for 1 minute, then turn off the heat and cover the pot. Let the pot sit for 15 minutes. After 15 minutes, place the pot in the sink and fill it with cold water to cool the eggs down immediately. You want the eggs to sit in cold water for 30 minutes or so, so you will need to dump the water and refill with cold water a few times. You can add some ice cubes too. To make the salad, place the chopped hard boiled eggs in a bowl. I usually add everything to the egg bowl, but if desired, you can whisk it up first. Stir together the yogurt, mayo, pickle juice, relish and mustard. Gently toss the eggs in the mixture. Fold in the chives, salt, pepper and paprika. I love to place a piece of butter lettuce on toast, top it with the salad and then top it with the pickled onions and smoked sea salt. I find that this serves closer to 4 if you do open faced toasts. More like 2 if you do big sandwiches. 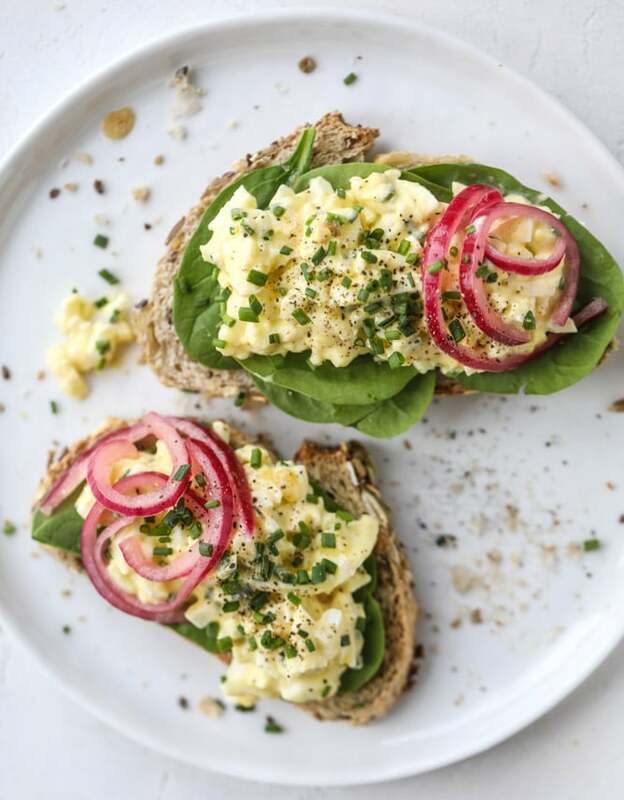 This entry was posted in Recipes and tagged eggs, sandwich on March 31, 2019 by The Yellow Pine Times. Preheat the oven to 350 degrees F and grease a 9-by-13 casserole dish. Using a sharp knife, cut out the top of each roll and remove enough bread to fit a meatball inside. 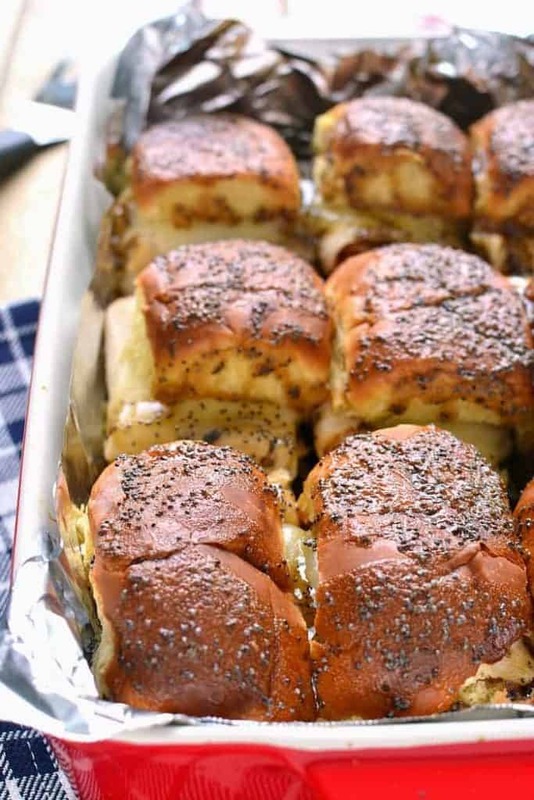 Place rolls in a casserole dish as they are done and set aside. Place the meatballs and marinara sauce in a medium-sized saucepan set over medium heat. Cover and cook just until sauce and meatballs are both hot throughout. In a large frying pan set over medium heat, melt butter. Add garlic and salt and saute for 1 to 2 minutes, just until garlic is soft. Using a pastry or silicone brush, brush the garlic butter generously along the inside of each roll. Place a meatball inside each roll. Top each meatball with a tablespoon or two more of marinara sauce and sprinkle with mozzarella cheese. Place the casserole dish into the preheated oven and bake for about 10 minutes, just until cheese has melted. This entry was posted in Recipes and tagged sandwich on November 25, 2018 by The Yellow Pine Times. In a large skillet or frying pan, heat vegetable oil over medium-high heat. 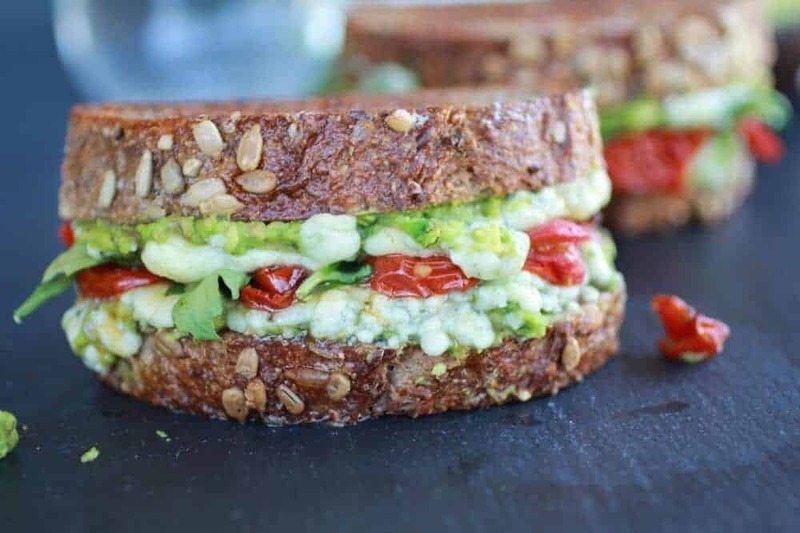 Place both sandwiches, into pan. Press down with a spatula to flatten the bread and sear the butter against the hot surface. When browned, flip and repeat on other side, pressing until brown. Remove to a paper towel lined plate. Reduce oil heat to low, but don’t turn it off. Working at a brisk pace (you don’t want your oil to burn), place flour in a shallow dish (or plate) and eggs in a shallow bowl whisked with salt. Remove, slice and serve. 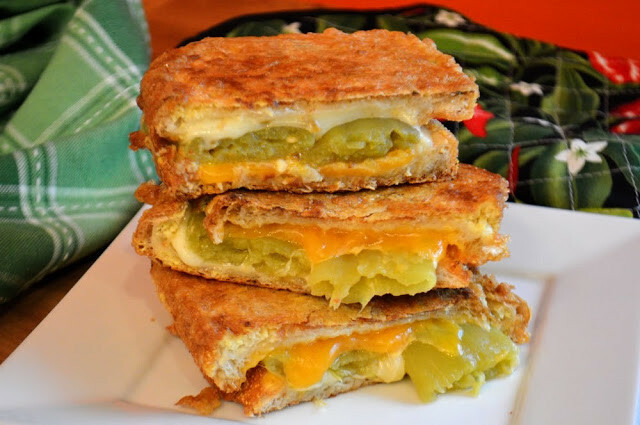 Enjoy your Double Crunch Chile Relleno Monte Cristo Sandwiches. If you don’t wish to use fresh chiles, you can purchase an 8-ounce can whole or diced green chiles, drained and patted dry and skip this step. This entry was posted in Recipes and tagged sandwich on October 28, 2018 by The Yellow Pine Times. Preheat oven to 350 F. Slice the french bread in half, lengthwise, so you have two equal pieces. Scoop out the bread in the center of each piece. Place bread in a large bowl and tear into small chunks. 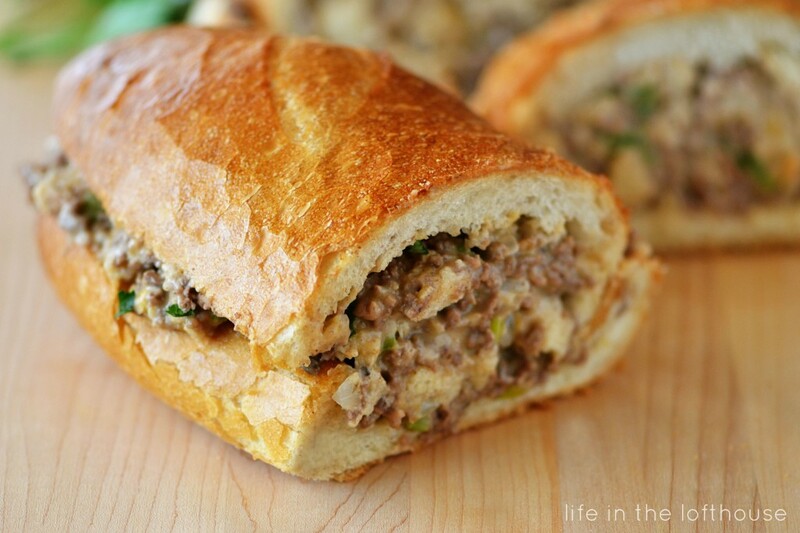 Set the two halves of french bread onto a large baking sheet. Set aside. This entry was posted in Recipes and tagged hamburger, sandwich on May 27, 2018 by The Yellow Pine Times. Divide the arugula in two and place right on top of the melted blue cheese and then add a handful of the roasted tomatoes. Place the other half of the bread on top to make a sandwich. Place both sandwiches in the skillet. Cook until cheese is melted and both sides are golden brown, at least 3 minutes per side. Lower the heat if the bread gets too brown. This entry was posted in Recipes and tagged sandwich, veggie on April 29, 2018 by The Yellow Pine Times. Using three tablespoons of the butter, coat one side of each bread slice. Spread the non-buttered side of two pieces with jam. Spread the non-buttered side of the other two pieces with peanut butter. 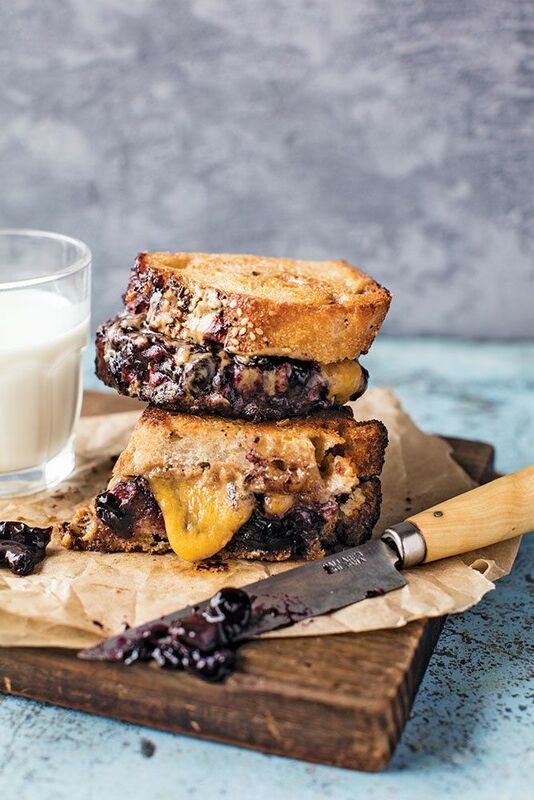 Place a slice of cheddar on the peanut butter sides and close up the halves to make sandwiches. Melt the remaining tablespoon of butter in a medium skillet over medium heat. Add the sandwiches and cook for 2-3 minutes per side, or until the bread is golden brown and the cheese has melted. Serve immediately. In a medium saucepan, combine the blueberries, sugar, vinegar, lemon juice, and salt. Cook over high heat, mashing the fruit with a potato masher or fork, until the berries have released their juices. Reduce the heat to medium-high and cook, stirring occasionally, for 15 to 20 minutes, until the mixture has thickened. Let cool and then transfer the jam to a clean glass jar. Store in the refrigerator for up to one month. Author’s notes: There are three essentials. Essential 1: Real peanut butter, meaning no sugar added. There is a time and a place for the creamy peanut butter we all ate as kids (most baking recipes), but this is not it. All you need here are ground-up peanuts (with some salt). Essential 2: Sharp cheddar. Nothing fake and no slices wrapped in plastic. Use real cheddar. This entry was posted in Recipes and tagged sandwich, snack on December 3, 2017 by The Yellow Pine Times.